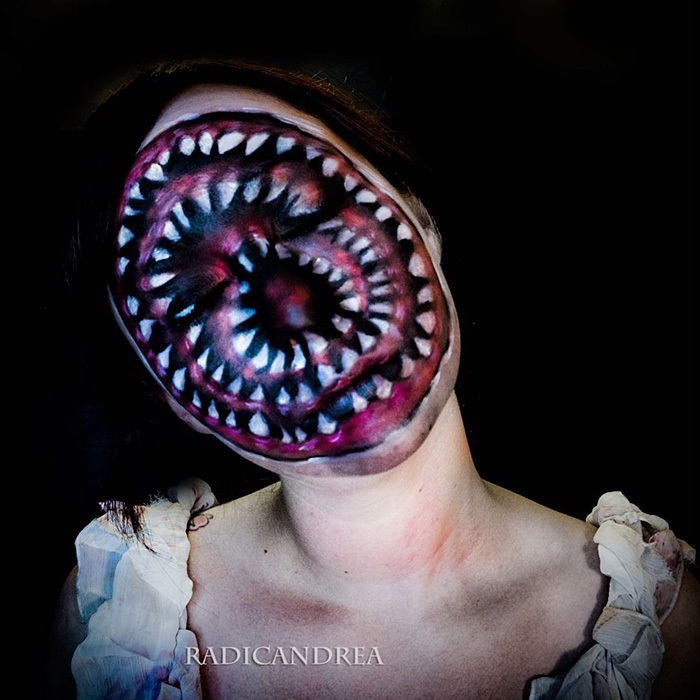 Andrea De La Ossa, a cosmetologist and beauty vlogger, definitely doesn’t have problems choosing her Halloween looks. 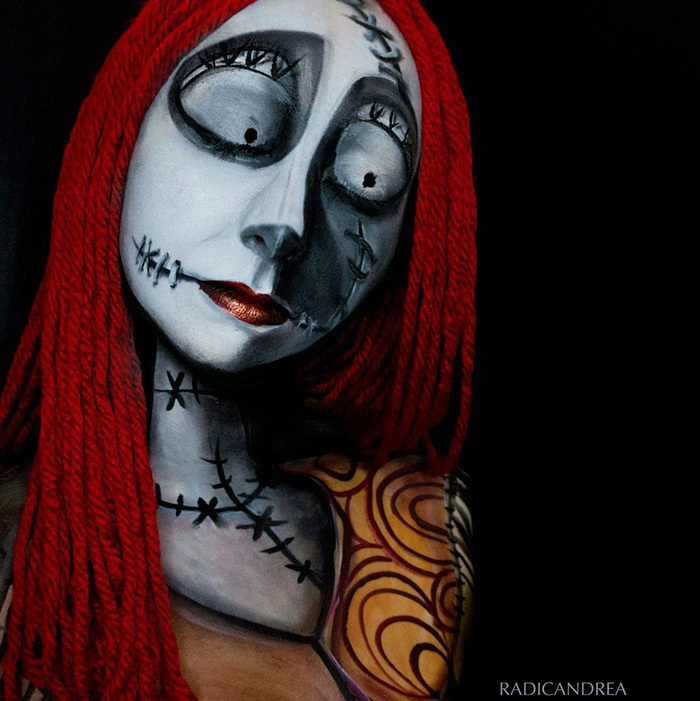 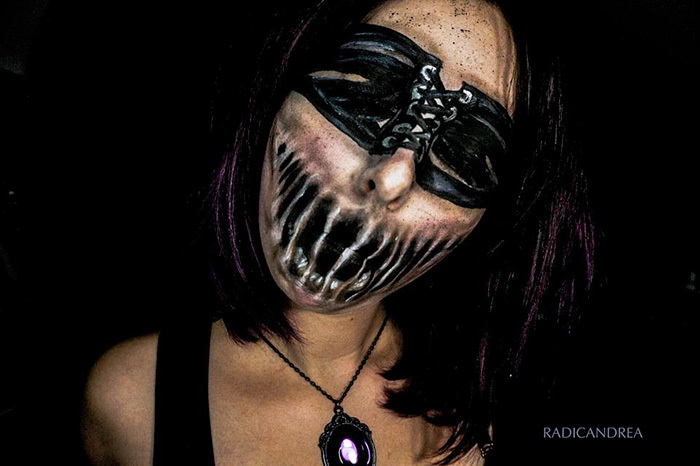 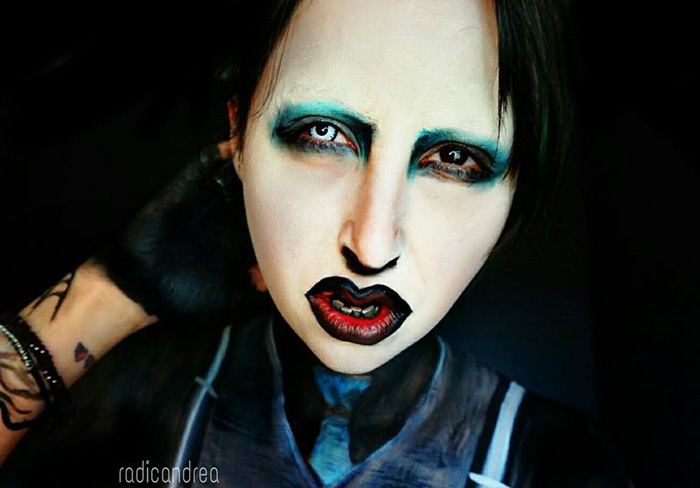 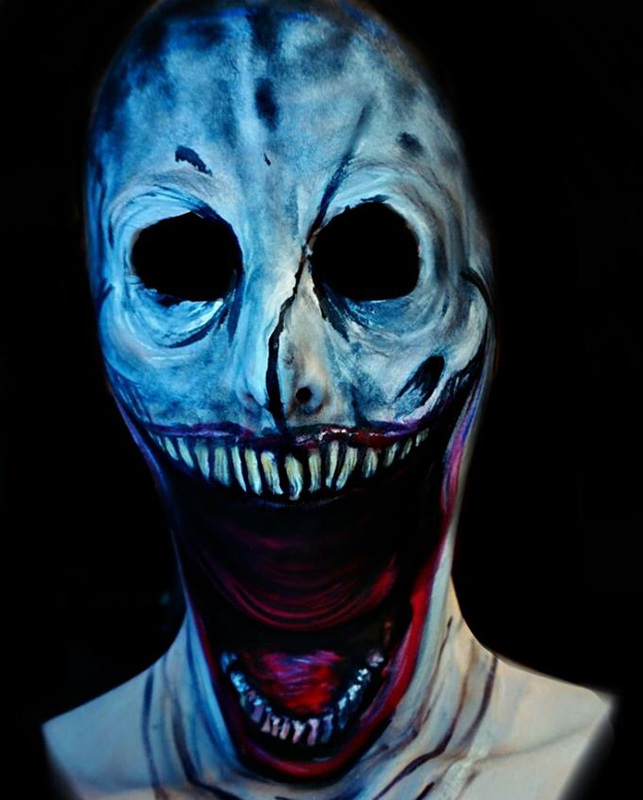 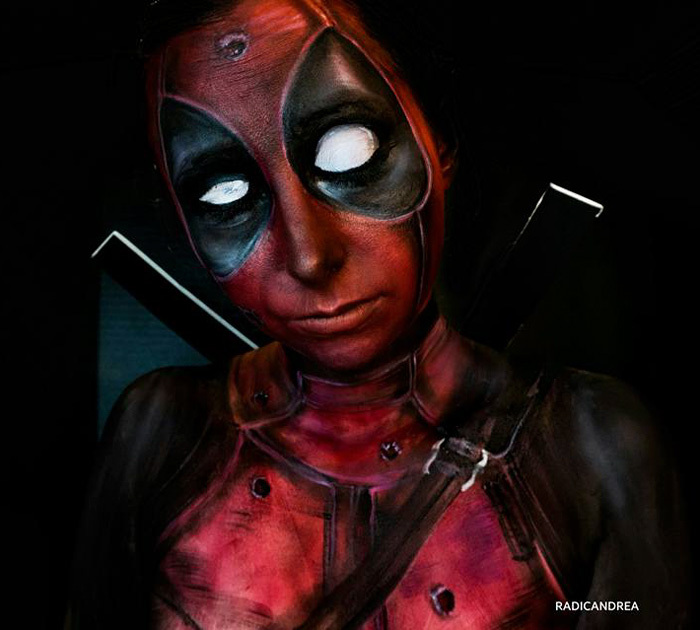 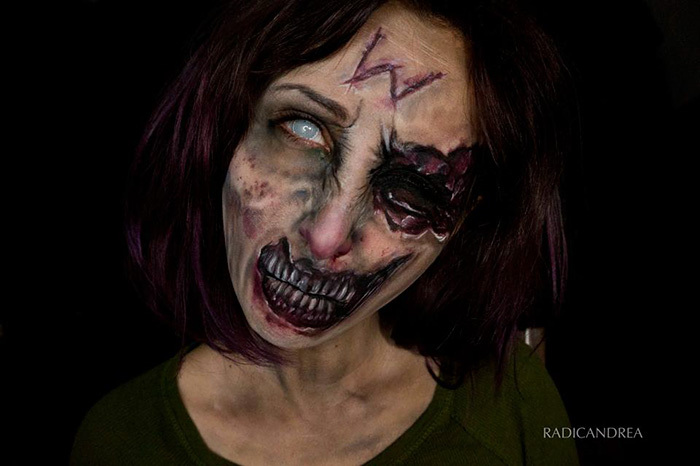 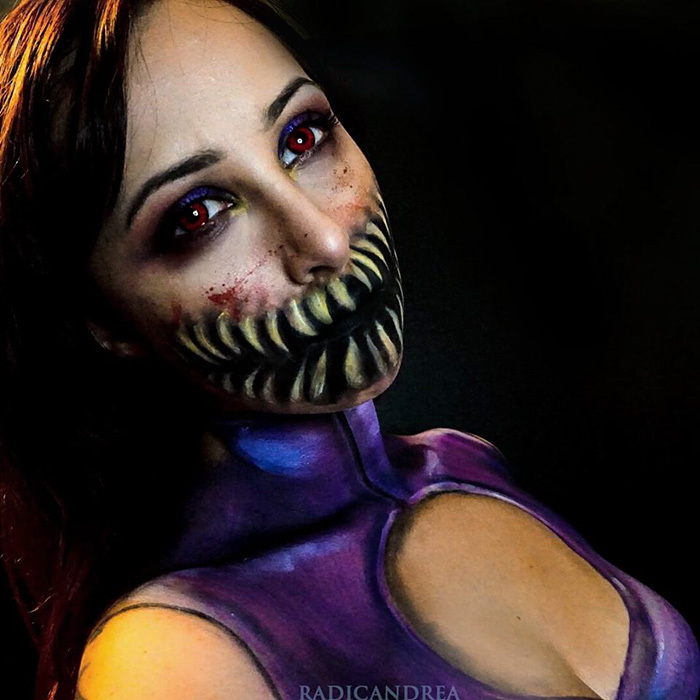 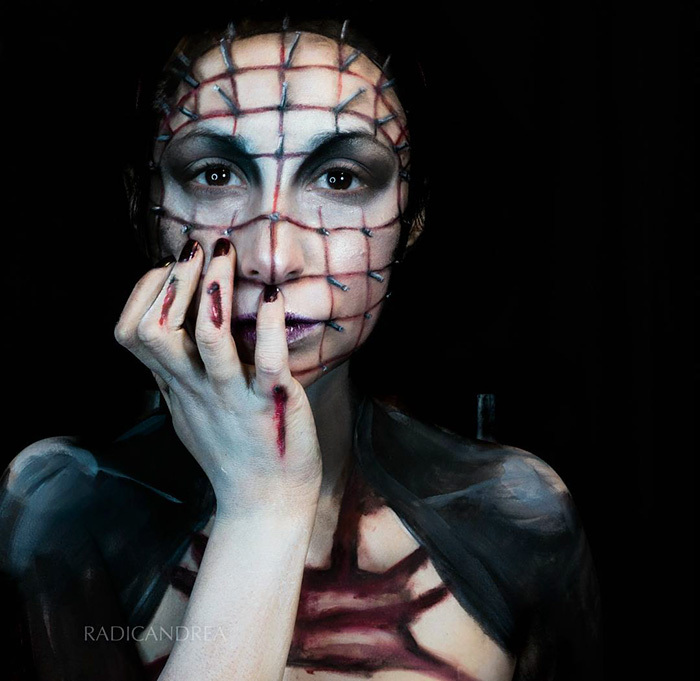 Using her incredible make-up skills, she can turn herself into any creepy character she wants. 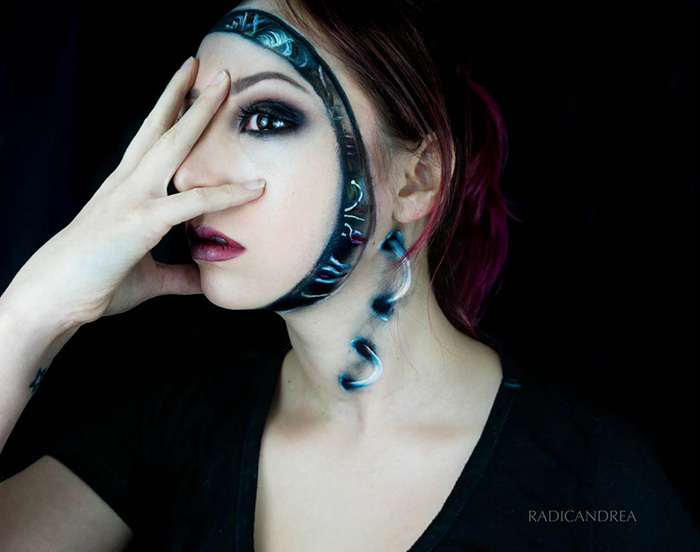 Andrea is happy to pass on her knowledge to fellow monster lovers on Youtube, too. 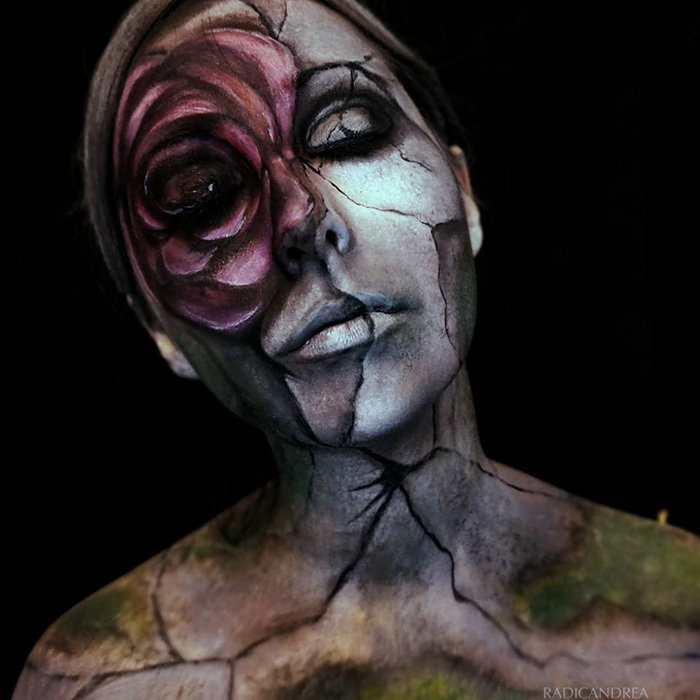 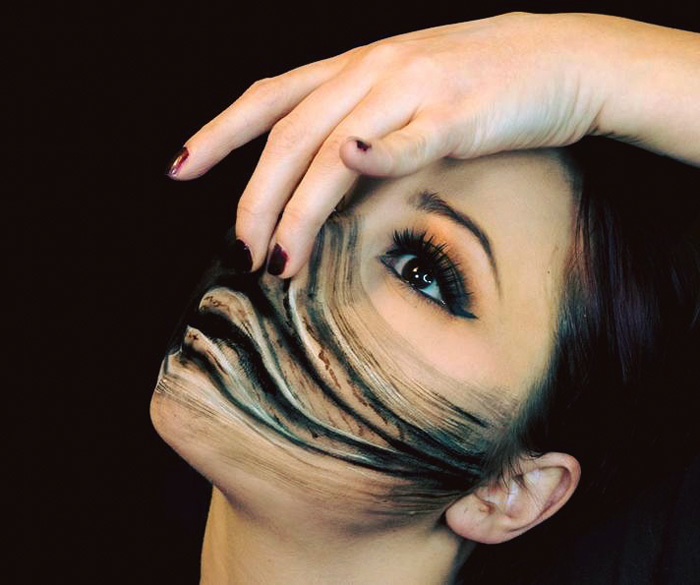 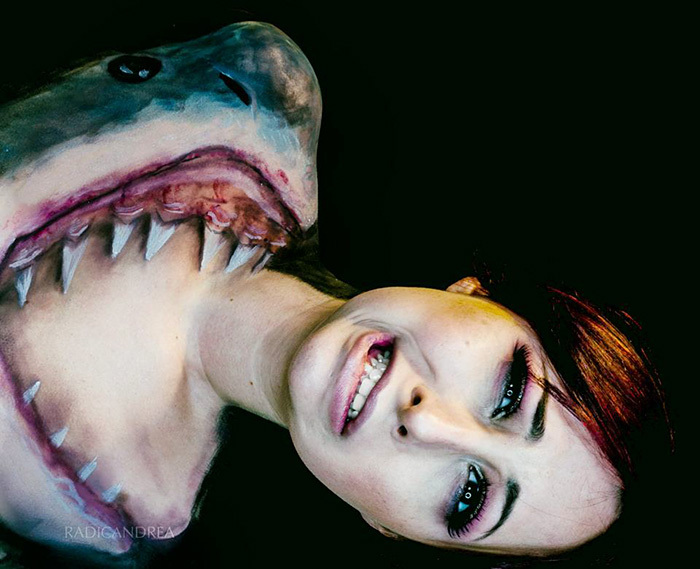 “I made this channel in the hopes of carving out a place on the internet where I can reach like minded individuals and inspire them to feel beautiful all over the place!” Check this post for more body art inspiration.